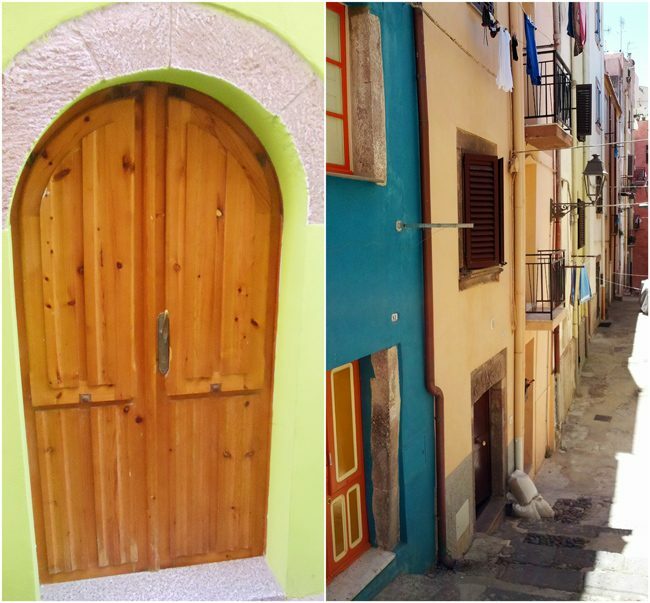 The third day in Sardinia is a road trip from Alghero to the Gulf of Orosei where we’ll spend three days. The roughly 180km, six-hour route (including stops) will take us south along the coast to the beautiful town of Bosa before heading inland to the east coast of the island. Pro tip: you can rent a car starting from the third day and reduce your overall travel costs. We paid about 30€ per day for a manual car during the last week of August. 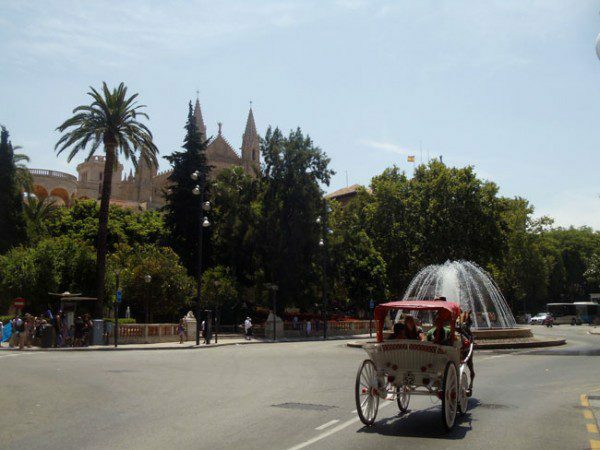 Head south from Alghero along the Mediterranean coast for the roughly one-hour drive to Bosa. In Sardinia, the main highways are prefixed with “SS” while the country roads are prefixed with “SP”. Since we weren’t in a rush and wanted to enjoy the coastal scenery, we drove on the SP105. Pro tip: if you have extra time en route to Bosa or looking for an interesting day trip from Alghero, detour to the hilltop village of Villanova Monteleone. 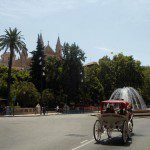 Day trippers from Alghero can drive on the quicker SS 292 to the village, continue to Bosa, and drive back to Alghero on the coastal SP 105. 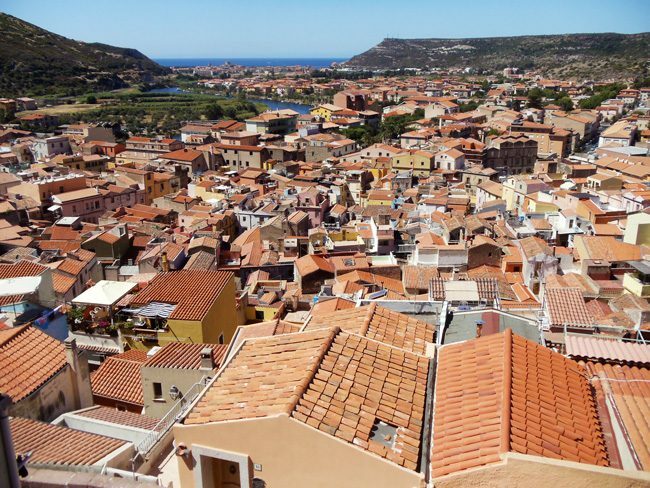 Bosa is one of the prettiest towns in all of Sardinia, a vibrant mix of pastel-colored homes stretching from the banks of the Timo River to the castle perched atop a steep hill. Bosa’s main attractions are on the north bank so park the car somewhere there and begin the uphill walk. You eventually want to make it to the hilltop Malaspina Castle – the town’s main attraction and prime scenic spot. The 12th-century castle was repeatedly destroyed and rebuilt over the centuries. You can explore its interior as part of a guided tour or simply enjoy the views like we did. From up here, find your back down via the maze of alleys. You’ll surely wonder how locals find their way back home because the upper sections of Bosa are very confusing. 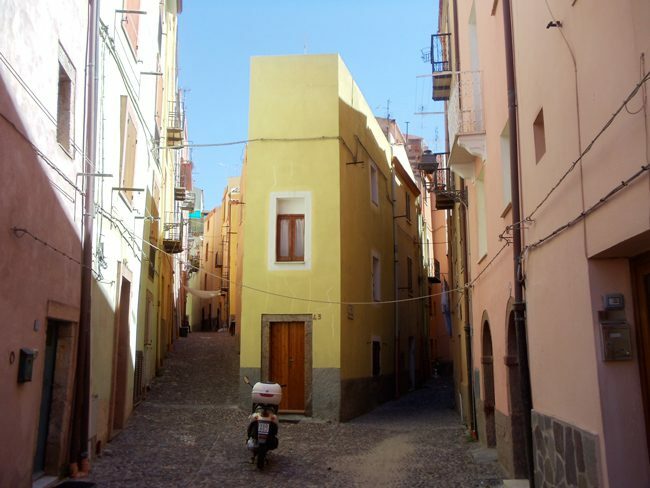 Before hitting the road, pause for a break in one of the cafes in and around Piazza IV Novembre or Piazza Costituzione – Bosa’s main gathering spots. The Bosa to Orosei leg essentially takes you from coast to coast. 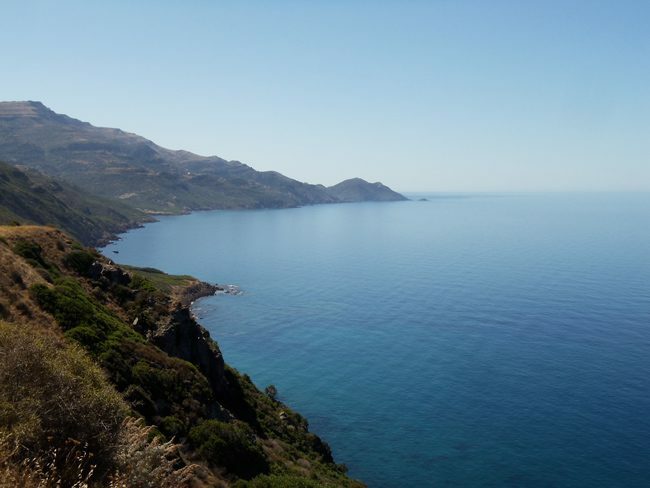 To fully enjoy the journey, stick to the SS129 which is not as off the beaten track as the road from Alghero to Bosa but is nonetheless scenic and slow going, taking you through the sparsely populated agricultural interior of Sardinia. Before the final approach to Orosei, the town of Nuoro can make for an interesting stop. 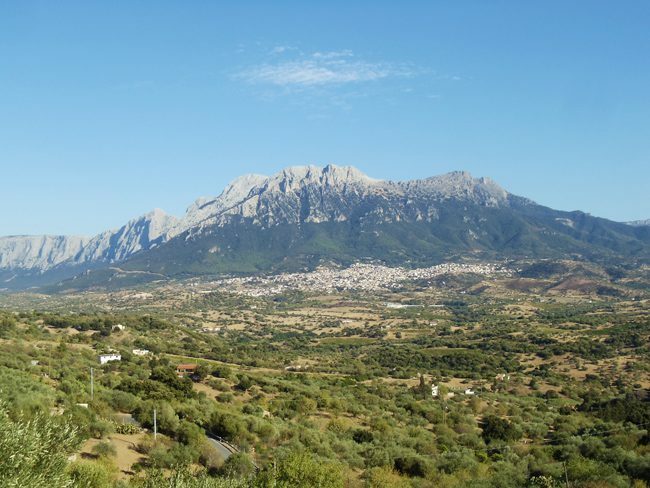 Originating from a lonely hilltop village, Nuoro surprisingly boasts a number of attractive museums and just a few kilometers north of town, Mount Ortobene is adorned by a giant bronze statue. The real treat, however, for fatigued drivers is the sight of the Supramonte Mountain Range, a majestic set of giant limestone mountains that signal the final approach to the Gulf of Orosei. We’ll spend a full day exploring the more majestic Gennargentu Mountains but for now, it’s another 30 minutes to the village of Orosei. 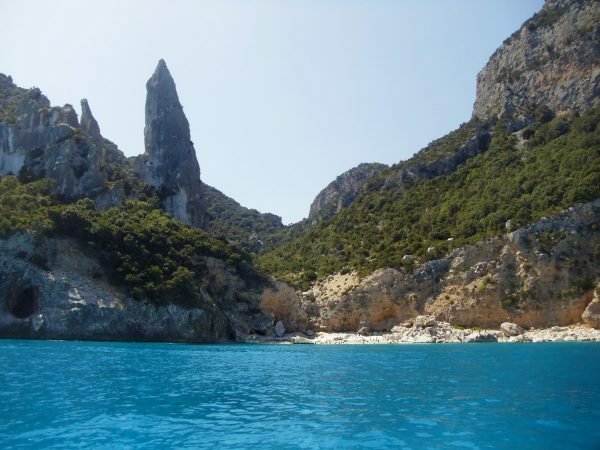 The Golfo di Orosei is a 40km horseshoe-shaped gulf that encompasses some of Sardinia’s finest beaches and hikes. 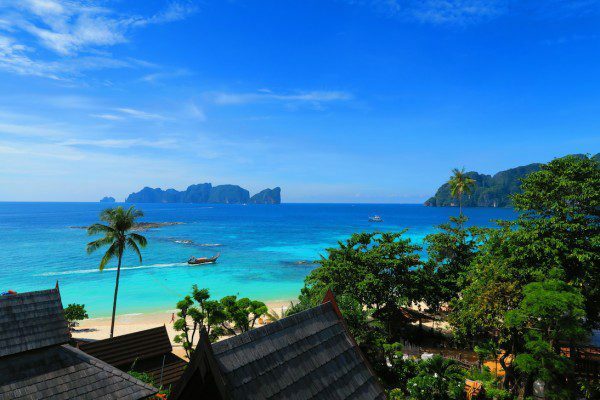 At its southern end, the gulf’s dream beaches are tightly squeezed by the aqua blue waters of the Mediterranean and the giant limestone peaks of the Gennargentu Mountains. 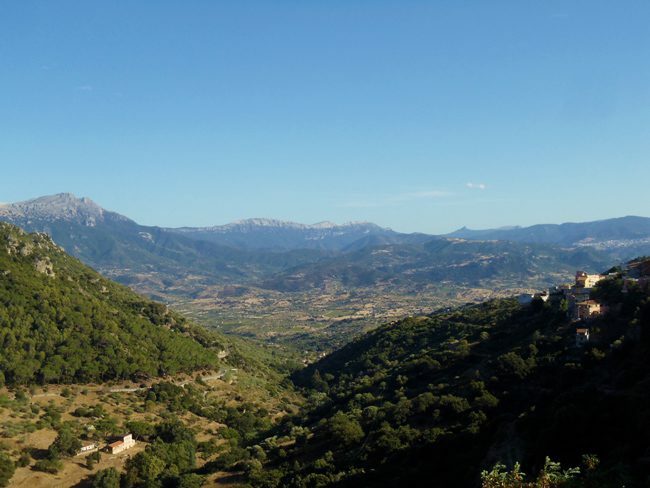 The area is a very popular summer destination for foreign tourists and especially Italians from the mainland flocking to catch some sun and explore the mountains. Where to Stay in Orosei? 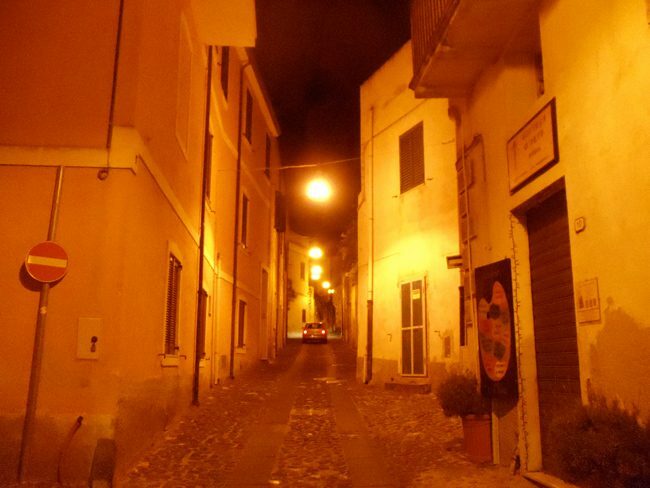 We spent the following three nights at Albergo Diffuso Mannois in the village of Orosei – the gulf’s main settlement and a great base for exploring the area. Comprised of a collection of restored stone houses clustered around a specific area of the village, rooms are tastefully decorated but some are much nicer (and more spacious) than others. At the time we visited, WiFi was only available in the main house, where an excellent breakfast is served daily. The staff was nice but above all, very helpful, providing us not only with a number of useful tips but also with umbrellas for the beach to protect from the sun. 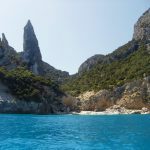 Alternatively, you can look for places in the laid back fishing village turned resort town of Cala Gonone and slightly south of the gulf in Arbatax though the latter is kind of a stretch. 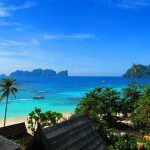 If it’s the mountains you favor over the beach, check out Hotel Gorropu. Here’s a list of all Gulf of Orosei accommodations that you can book online! 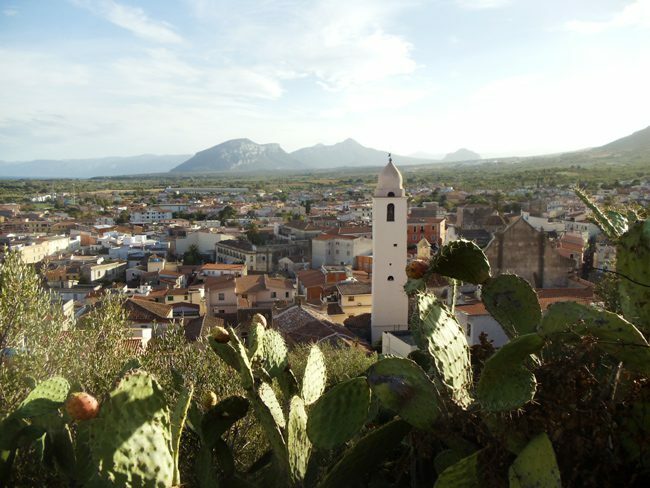 After the long road trip from Alghero to Orosei, we headed for a night out in the village of Orosei. Despite hosting many visitors, locals here are very friendly and exploring the narrow cobblestone lanes that lead to and from the village’s main arteries is an experience on its own. We eventually found our way to Via Nazionale and settled on La Taverna as our dinner destination. 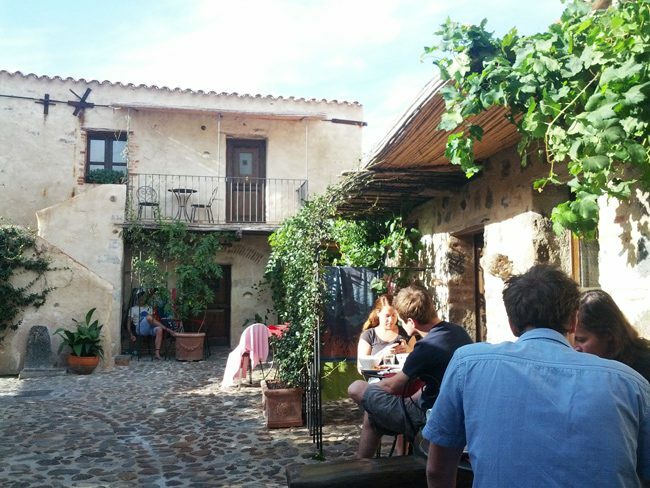 This is a typical Sardinian restaurant with a romantic outdoor terrace. The service wasn’t amazing when we dined here but the food was, even if a bit pricey for what you get. I guess it’s all about the location and it sure can’t be beaten here. After dinner, go for a stroll down Via Nazionale, browse for some souvenirs, treat yourself to some ice cream or better yet, mojitos with a cool vibe at Bar Yesterday.